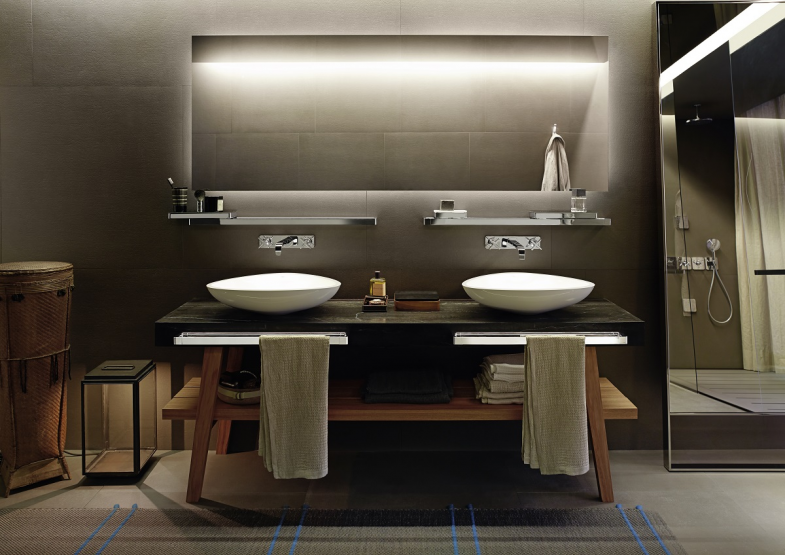 During 5 years working at Designventures I designed 30+ showrooms and 60+ fair stands for Hansgrohe worldwide. The main challenge was to assure the three different brand’s (Hansgrohe, AXOR, Pharo) recognition factor across a wide range of different spatial and cultural contexts. One of my main proj- ects for Hansgrohe was the re–design of its retail display system and its adop- tion to the Chinese market. Whereas before, all displays have been produced in Germany and then shipped to their final destination, the idea behind «Studio C» was to provide a simple and modular design that enables our partners in Asia to produce and mount every display right on spot. Next to the display system, also the assembly instructions have been part of the project.